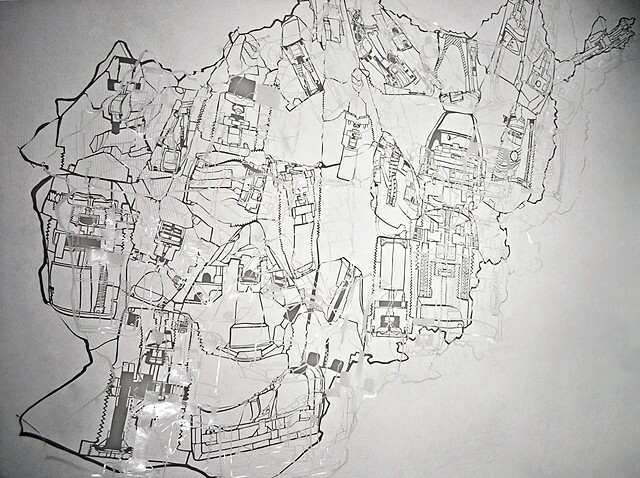 This cut paper sculpture depicts 23 landmine schematic diagrams within the rambling border of Afghanistan. The diagrams, culled from ordnance catalogs and online sources, reference landmines that were either found in or made in Afghanistan. The dark lines of the image are shadows. The actual work, made of translucent waxed paper, is barely visible.